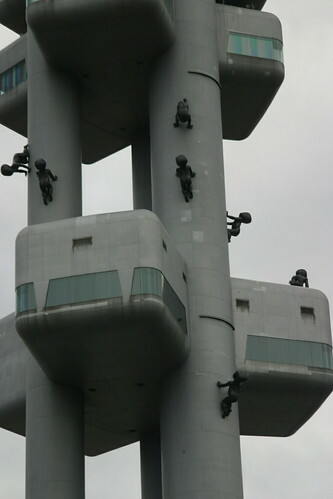 This strange looking uniquely-designed tower with sculptures of crawling babies is Žižkov Television Tower, Prague, Czechoslovakia. 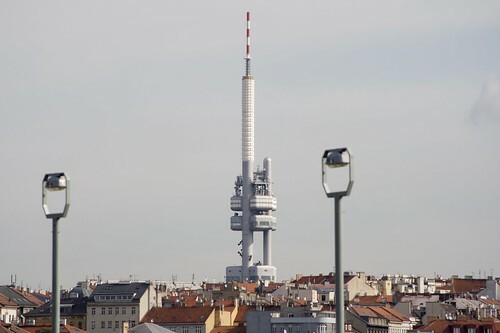 Built during 1985-1992 it is located on a hill top of Žižkov district. 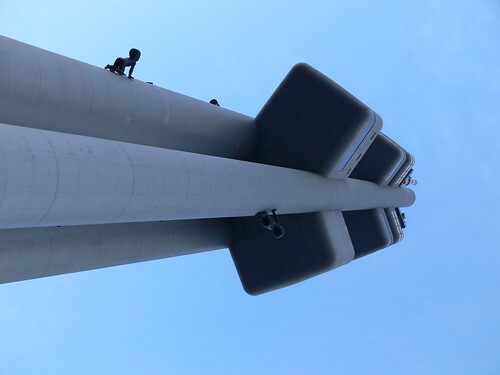 The tower is 216 metres high, has observation decks at 100 metres and restaurant/café at 63 metres and in the lower 'pods'. Besides TV transmission it is also used as meteorological observatory. 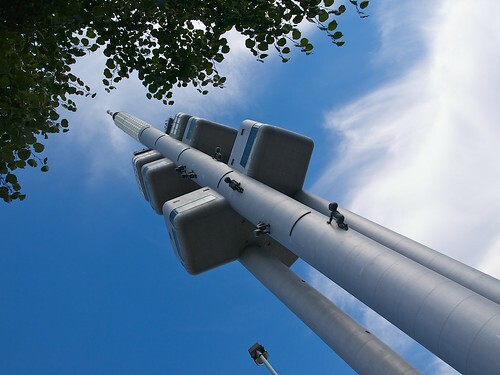 It is rumoured that during the communist regime it was used to block radio/TV signal from Western Europe. 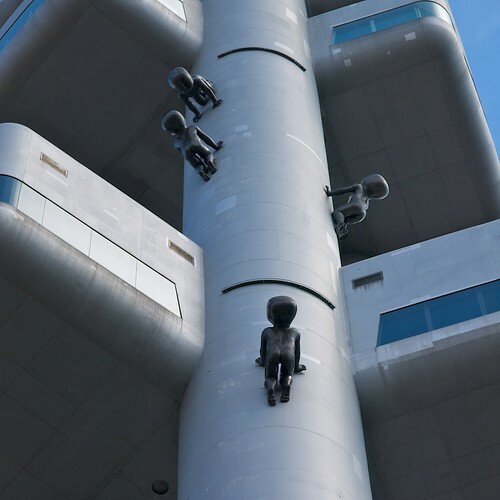 In 2000, sculptures of crawling babies (by Czech artist David Černý) were temporarily attached to the pillars. After getting positive response from viewers these sculptures are now a permanent fixture. In-spite of being a tourist attraction the sculptures definitely present a crazy and scary appearance.